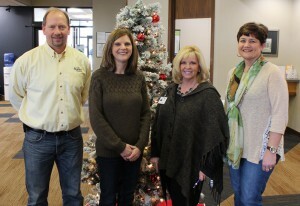 The Oakes Area Community Foundation recently presented a check for $1,000 to Hospice of the Red River Valley. The donation will be used to provide compassionate end-of-life care to those in Oakes and the surrounding communities. The Oakes Area Community Foundation supports nonprofit projects or programs in the area that work to improve the community and quality of life. The North Dakota Community Foundation was formed to create an easy way for North Dakotans to help their neighbors and friends, now and in the future, through charitable giving and promoting philanthropy. They currently administer 60 different community foundations in the state – including Oakes.